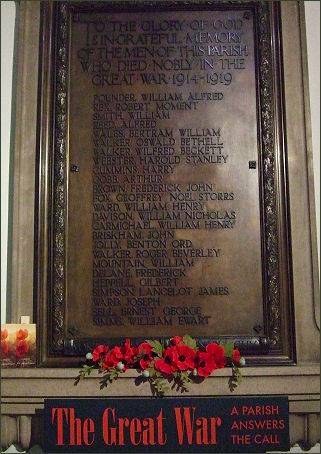 Holy Trinity Church, Micklegate, York. 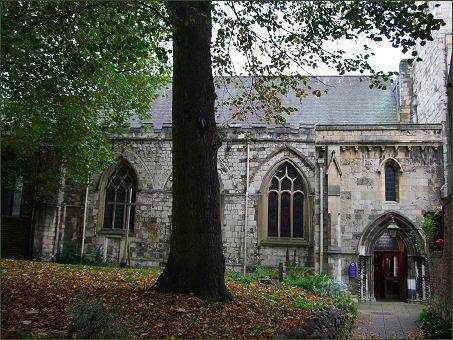 Holy Trinity Church is situated at York's historic Micklegate, the ancient western entrance to the city. The church, which is mentioned in the Domesday Survey of 1086, is the only monastic building in York to survive as a regular place of worship. 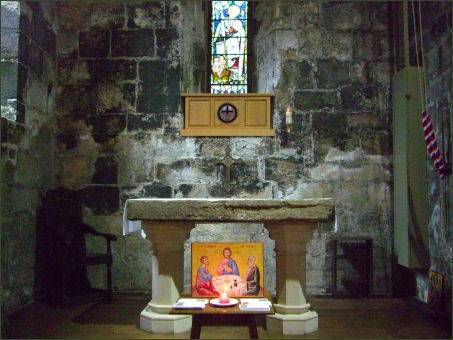 A church has occupied the site for more than 900 years. In 1089 the Benedictine order from Marmoutier in Normandy, established a priory on the site of a pre-Conquest church. The former monastic complex covered 7 acres. 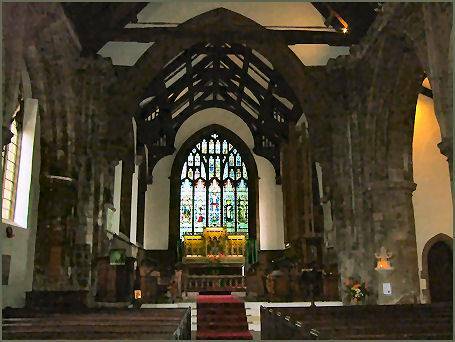 The fabric of the existing church includes the original nave of the priory church with late twelfth century features. The priory was closed at the Dissolution of the Monasteries in 1536, after which the building became a parish church. In 1551, the central tower collapsed during a violent storm. The stone was used to repair the city walls and Ouse Bridge. The nave was restored but reduced in size. 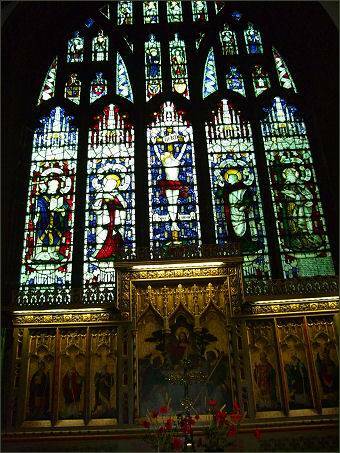 The handsome stained glass windows in the nave are the work of C. E. Kempe (1837-1907) whose wheatsheaf monogram can be observed in several of them. The chancel dates to 1886. 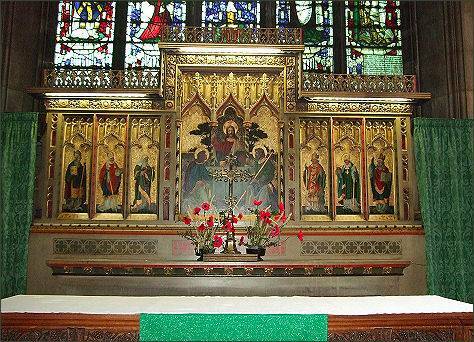 The paintings behind the altar and the fine east window depict saints associated with York and the north of England. 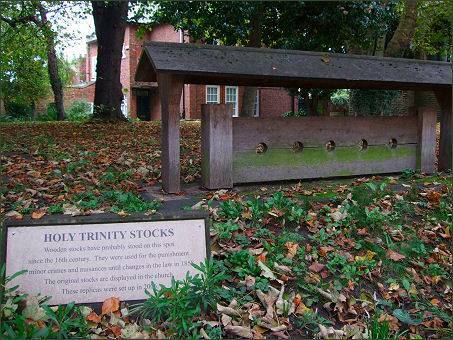 The stocks in the churchyard date from the eighteenth century. The building known as Jacob's Well on Trinity Lane dates from medieval times and was originally gifted to the parish in 1566 by the last prioress of Clementhorpe, Isabel Ward. It was used for the benefit of the poor of the parish until at least 1687. It is now used for church social events and activities. 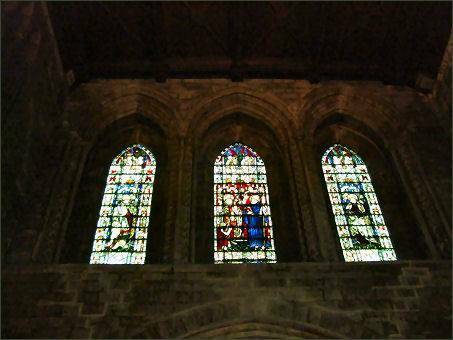 York's famous medieval Mystery Plays began each year outside the gateway to Holy Trinity, in medieval times the actor's script for the plays was kept in the church. The plays related the story of the bible and were performed by the guild or trades of York. Jacob's Well, an interesting Grade I listed building, stands on Trinity Lane, to the side of the church yard of Holy Trinity Church and is the parish room of the church. An unusual medieval building, it was built in around 1474 with an endowment given by Alderman Thomas Nelson.